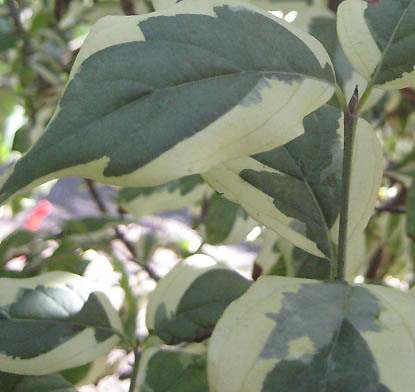 Leaves are blue-green in center with white margins. Typical yellow flowers in early spring lead to red glossy fruit which glows amid the variegated foliage. White margins turn pink in fall. A beautiful specimen!